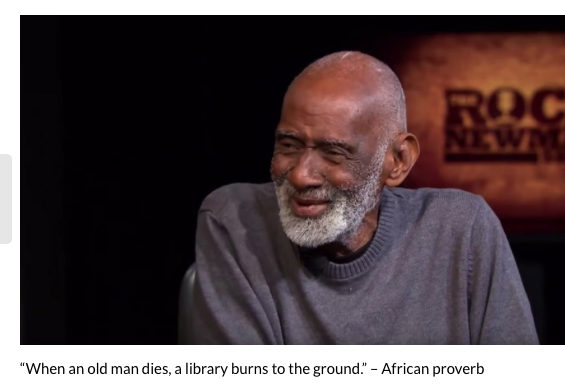 Yesterday, I found out that Dr. Sebi, the holistic healer, passed away. May he rest in peace and I pray his family strength in their time of need. I personally know people who have turned their lives around by following Dr. Sebi's alkaline diet...some have been healed of high blood pressure,diabetes, and even gotten pregnant when the doctors had told them it would be impossible. Well in honor of his legacy of healing I made an alkaline pie today in hopes that someone who is struggling in trying to live this life is inspired to continue in the alkaline way. 1) Preheat oven to 350 degrees. Make the crust: In a large bowl bowl combine the spelt flours and sea salt. mix well. Next, mix the oil into the flour/sea salt mixture. Lastly, pour in the ice cold spring water. Adjust accordingly. Mix and knead together into a ball. Then place the ball of dough on a flat board with some spelt flour sprinkled on it. Let the kneaded ball sit for at least five minutes. Then roll the dough out as flat and round as possible. 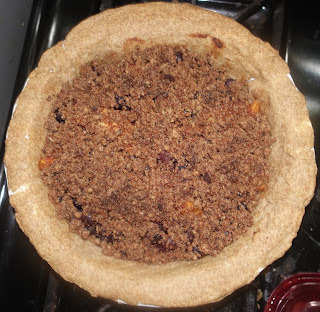 Oil a pie pan of your choice then place the flatten out spelt dough into the pie pan. Use fingers to form into your pie pan of choice. Bake the pie crust for 10 -13 minutes. Take the pie crust out and allow to cool while you mixed up the toppings and the fillings. 2) Make the filling: In a large bowl, combine flour, date sugar, and sea salt. In another large bowl mix blueberries and lime juice. Then add the peaches to the blueberry/lime mixture. Lastly, combine the blueberry/peach/lime mixture with the flour/date sugar/sea salt mixture. Pour this combined mixture into the prepared crust. 3) Make the toppings: In a large bowl, combine flour, date sugar, sea salt, and allspice. Using your fingers or a fork, work oil into flour mixture until mixture resembles varying sizes of tiny crumbles. 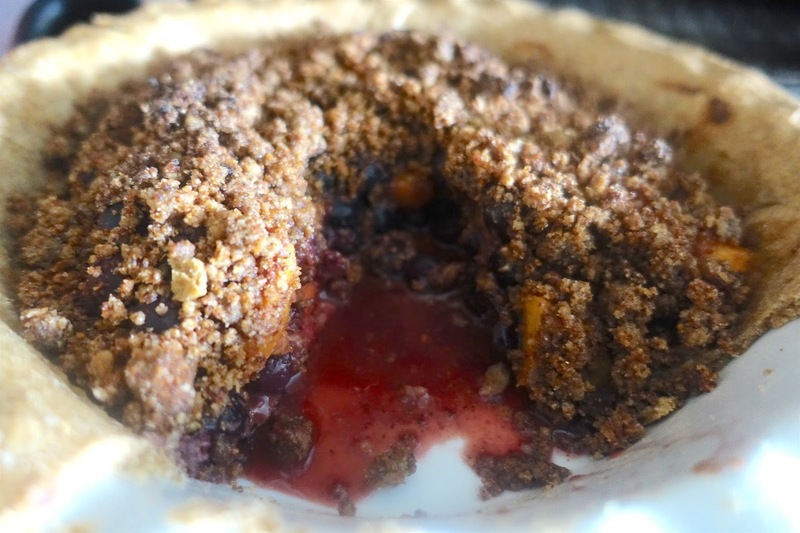 Distribute crumble topping evenly over fruit mixture. 4) Bake until topping is golden, approximately 35 minutes. Let the crumble cool slightly before serving.